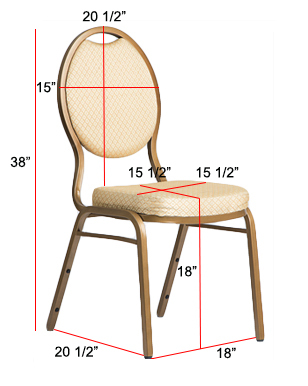 Coordinate every detail of your wedding or special event with our Spandex Banquet Chair Covers! Perfect for weddings, birthday parties, baby showers, and more, our Spandex Banquet Chair Covers will transform any run-of-the-mill banquet chair into lovely event seating. Spandex never requires ironing and a breeze to install, helping make your event stress-free! 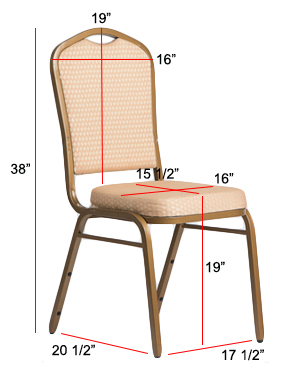 Let our Spandex Banquet Chair Covers put the finishing touches on your special day. For effortless cohesion, pair with our spandex bands, rhinestone diamond sash buckles, or any of our luxe line of chair sashes for a bold and elegant look! Heat will affect the life of the Lycra.